MCR in Tawi-Tawi raises concerns during the consultation meeting with Use. Bersales last January 10, 2018 in Bongao, Tawi-Tawi. The Local Civil Registrars (LCRs) of the island provinces of ARMM namely, Basilan, Sulu and Tawi-Tawi (BASULTA) requested for the installation of CRS Serbilis Outlets in each of the island provinces. Dr. Abubakar S. Asaad, the Regional Director of the Philippine Statistics Authority (PSA) – ARMM, and other PSA officials took note of this common request during separate meetings with the LCRs of the island provinces last January 30, 2018 in Sulu, January 29, 2018 in Basilan and January 10, 2018 in Tawi-Tawi. Usec. Lisa Grace S. Bersales, the National Statistician and Civil Registrar-General of PSA, was also present during this meeting with the LCRs of Tawi-Tawi. The sole CRS Outlet for ARMM is located in Cotabato City. And even though clients may now file their application for authenticated civil registration documents (CRDs) at the nearest outlet which is in Zamboanga City, residents of BASULTA, specifically in Tawi-Tawi, still encounter difficulties in transportation and transmittal of electronic endorsements. 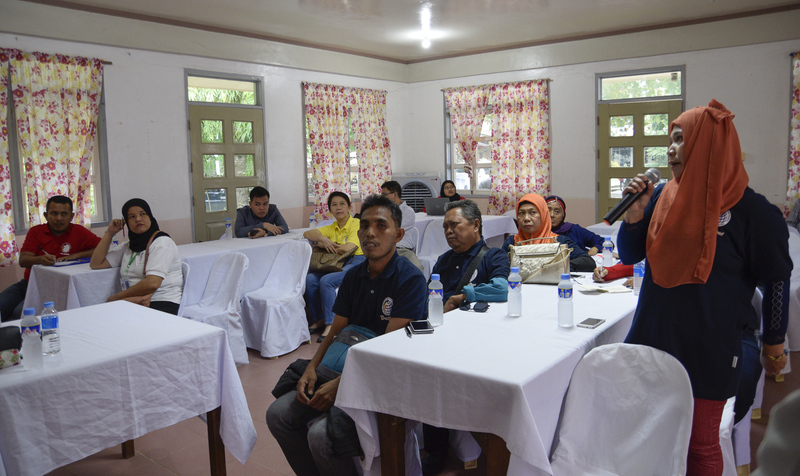 The Provincial Offices of PSA in ARMM has been exerting effort on strengthening coordination with the LCRs, as well as with the local government units (LGUs) at the provincial, municipal and barangay levels, in terms of providing civil registration services to the people and by encouraging them to register. However, the determination of both institutions has always been challenged by the inaccessibility of a CRS Outlet. The LCRs signified their willingness to serve as part of the drivers for development in their respective provinces and help alleviate their people from poverty, given that ARMM is the poorest region in the country. However, according to them, their efforts will be limited without an accessible CRS Outlet. The Philippines currently has a total of 40 CRS Serbilis Outlet. Usec. Bersales also announced that PSA will be installing additional 40 outlets in selected areas in the country. With this, Dr. Asaad is one with the LCRs of BASULTA in calling for the government’s attention to prioritize the island provinces in this development program.